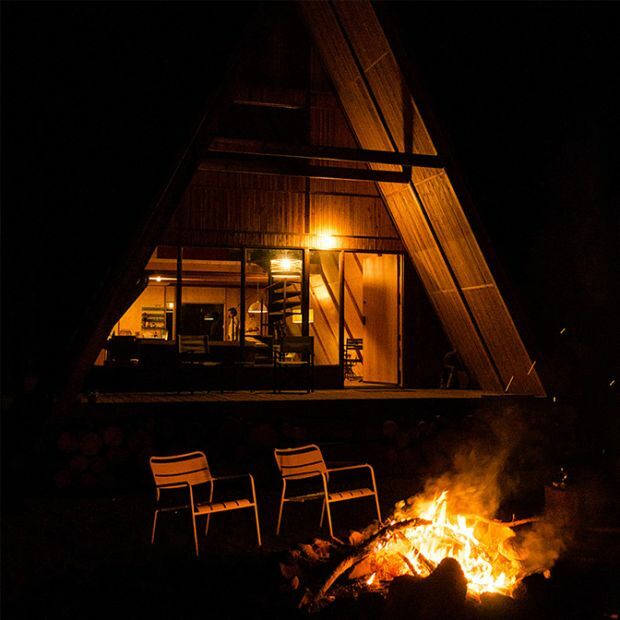 The visual charm of this little A-frame cabin is evident at first glance, but what amazes even more is the luxurious space it has inside that can accommodate up to 4 people for a recreational retreat. 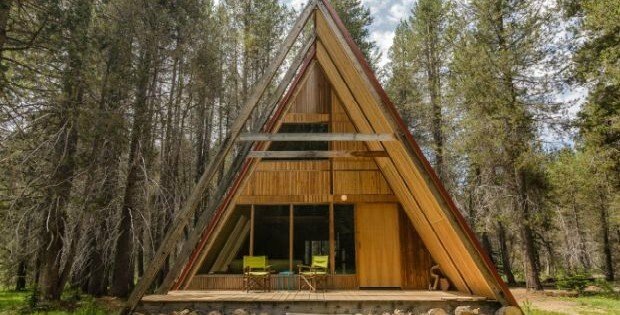 This incredibly awesome A-frame cabin is located in the perfect spot: Sierra Vista Scenic Byway in Yosemite National Park, CA. It’s a classic cabin infused with sleek style. 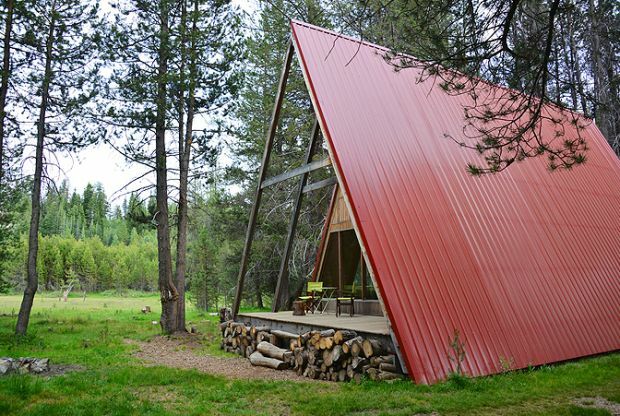 The vibrant red color pops on the A-frame roof, making it look all the more appealing. First impressions of this vacation retreat are very strong. 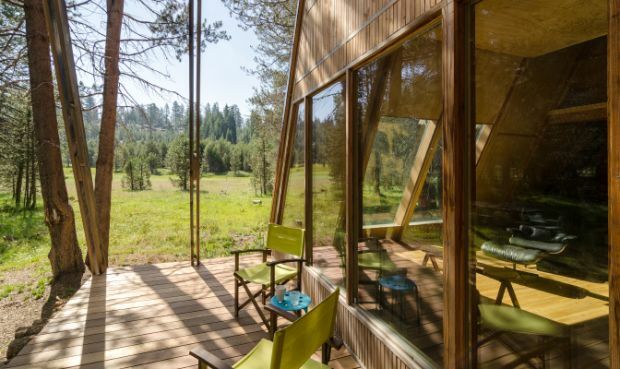 This rustic cabin has a gorgeous facade made of wood which has blended into its surrounding environment naturally. Nice! 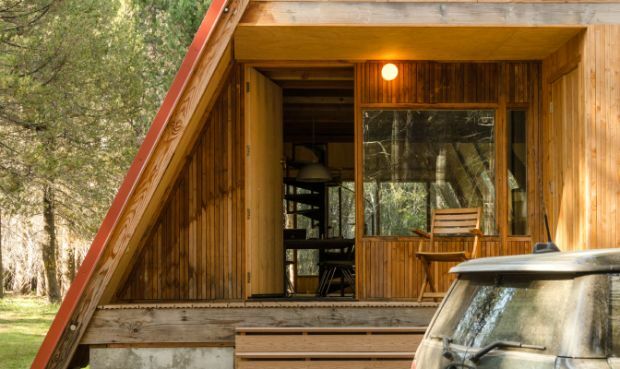 The red roof is an attractive addition which gives this cute cabin its own character. The rear of the house has a small porch for sitting, relaxing, and contemplating. The front of the house has a large deck area which is comfortable and spacious. The porch is open on one side, extending the panoramic views of the surrounding woodlands. The open-concept main room is finished with a minimalist style which increases the sense of a clean, bright, and airy living area. The kitchen area in this rustic cabin is a simple space which offers everything you require to preparing a meal. 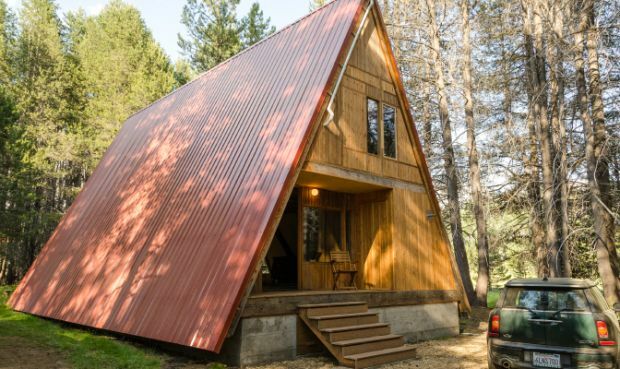 This A-frame cabin has a double-sided sleeping loft, hosting a queen-sized bed on one side and two single beds on the other. 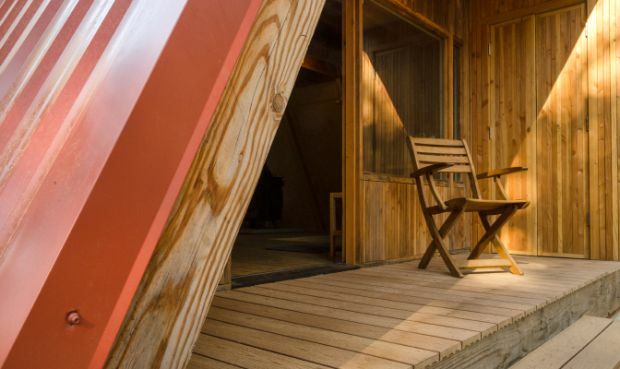 The bedroom benefits from the A-frame construction, with ample headroom and great natural light. As day turns to night, enjoy the warmth of a roaring fire and conversation with your friends and family.